A Sidney J. Parnes Global Fellow, Daberechi (Dabs) is deeply passionate and actively involved in inspiring and helping individuals, organizations, families, and communities build ideal and sustainable systems for growth. He has over 6-years hands-on experience in Enterprise Development, Training Intervention Advancement, and Non-profit Management. communities. Dabs holds a B.A in Linguistics and Communication Studies from the University of Port Harcourt Nigeria, a Certificate in Social Entrepreneurship from the University of Connecticut, Storrs, United States, and he is currently a student at Creative Education Foundation, United States, where he is undergoing a fellowship program with Dr. Sidney J. Parnes Global Fellowship on Creative Problem Solving. Rosemary is an entrepreneur, writer and speaker who takes pride in offering value to the society. She studied Environmental Education with specialization in Tourism and Eco-management andd was a finalist for the 2015 EasyBusiness Millionaire Hunt by Etisalat. For Rosemary, the saying that “doing small things in a big way pays” aptly captures her story and continued business growth. She started managing her parents’ clothing business while studying at the University in 2007. This gave her an idea of what it takes to manage a successful business. She continued with the clothing business after her school but was not getting the results she wanted. In 2014, she registered for SS-EDC entrepreneurship training program with one thing in mind “how to boost her clothing business”. But during the program at SS-EDC, an idea to think big and start small struck her and that gave rise to Teddies Popcorn. Today, Teddies Popcorn is one of the best branded and packaged Popcorn in the city and can be found in all the major shopping outlets and outdoor events. 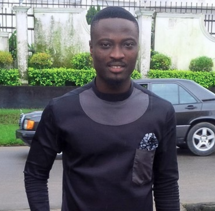 Joseph is a young and promising Fashion Designer and Entrepreneur. He is the CEO of La’Shakara Culture Wears and Accessories, a company focused on fashion and general branding. Joe has been able to turn a very small business into a million-naira company in just a short period of time and is interested in mentoring and helping young people. 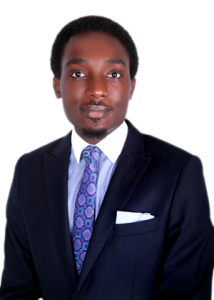 Mr Iso Bassey is an ICT Consultant and Social Entrepreneur, Founder of www.academix.ng. He is passionate about developing and mentoring young leaders and was recently recognized and featured in Who’s Who in Cross River. Iso studied Civil Engineering at the University of Port Harcourt before proceeding to do a Masters in Information Systems at the University of Leeds. He went on to spend 8 years delivering software solutions to some of the world’s leading companies including Reed Business Information (FTSE100), BECHTEL and Pfizer. Upon his return to Nigeria in 2007, Iso consulted for a number of organisations including the R.E.A.D. Africa Foundation. He has gone on to consult for both private and public organisations in Nigeria. 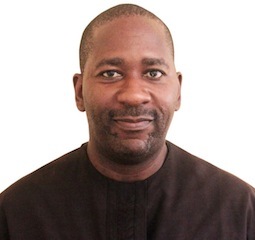 He also served as Special Assistant to the Governor of Cross River State on Information and Communication Technology from 2009-2014. Iso has a strong passion for a better Nigeria and this led him to established Lead. Inspire. Transform (LIT) in 2011, a nation-building organisation with a mission to raise and inspire leaders to influence and build better societies. 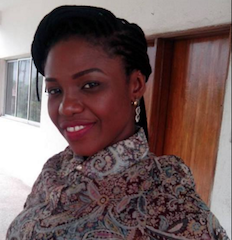 Ann is a Senior Program Analyst at the Cross River IT Village in Calabar. She has varied work experiences, through which she improves the social and economic development of women and children. She is also committed to coaching and mentoring young people in the areas of leadership, ICT and career development. Ann is an Alumna of the International Visitor Leadership Program (IVLP). 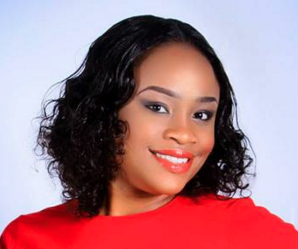 Adepeju is the founder of the innovative ‘Mother’s Delivery Kit’ as well as the Brown Button Foundation. She is passionate about Social Entrepreneurship and focused on providing simple lifesaving solutions to some of the world’s biggest problems. She is passionately making a difference in the lives of women and girls across the world as well as working to ensure Nigeria takes the health of women and children seriously. Joseph is a visionary leader with passion for mentorship and excellence. He is a Medical Doctor who believes in collective impact as a tool for transformational change. Muriel is a Medical Doctor with passion for primary health care and youth mentoring in purpose-driven living. She is a Christian who believes that the wisdom of God holds the solution to today’s problems at all levels of the society, and is determined to apply this wisdom to proffer solutions to the problems of our nation, Nigeria.